A small group of mothers were quietly playing with their fuzzy-furred babies in the dappled light of a forest clearing. None of the group appeared to take the slightest bit of notice of the clumsy tourists and park rangers who’d tramped nosily up to the apes as a part of a gorilla habituation safari. But then a large silverback male rumbled onto the scene. He appeared to be annoyed, and immediately the calm atmosphere among the female and baby gorillas changed. Mothers glanced at the approaching male and pulled their babes closer to them. Suddenly, the male thumped his fists hard into the ground, stood tall on his back legs and raced towards the human intruders while beating his chest. I was part of a group of three tourists taking part in a Mountain Gorilla Habituation Experience deep inside Uganda’s Bwindi Impenetrable National Park. 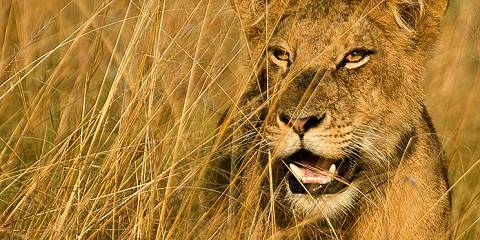 To get to this safari moment, we had walked up steep mountain slopes through a tangled undergrowth of giant stinging nettles and weeds that clasped at ankles and legs. Eventually, though, we’d got our first sight of a mountain gorilla. It was a juvenile female clowning about in the lower branches of a tree. Quickly afterwards other gorillas became visible. Some were clearly uncertain about this rude human intrusion, and they tucked themselves up into the darker shadows. Others in the group were unfazed by our presence and allowed us to approach within a few metres of them. What is a Gorilla Habituation Experience? In the standard Uganda gorilla trekking tours, the apes have been receiving human visitors for years, and they’re so well habituated to our presence that they literally regard you as just another forest object. This means that they will often look right through you and barge you out of the way if you don’t move fast enough when they approach. At times, the experience can almost feel a little too ‘zoo-like’. A gorilla habituation experience is different. The gorillas, visitors are taken to see, are normally only halfway through the habituation process, and some members of the group will very much keep their distance. So this begs the question. Why sign up for it? Well, two big reasons stand out. Firstly, unlike on a standard gorilla visit, where your time with the apes is limited to one hour, you get four hours with the gorillas. Secondly, up to eight tourists (plus guides and rangers) are permitted to visit each gorilla group in a normal gorilla watching visit, but on a habituation experience, only four tourists are allowed. This provides a more intimate experience. Whether you’re seeing fully habituated gorillas or those in the gorilla habituation experience, no gorilla tracking experience is ever the same, and with so many day-to-day variables involved it’s very hard to compare like for like. 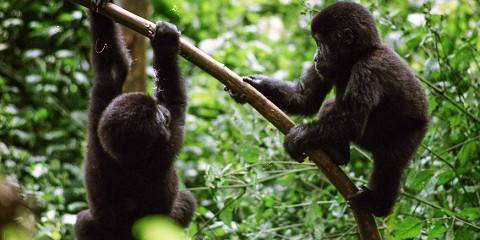 One day the gorillas could be sleepy and lazy, but the next day that same group could be excited and active. One day they could be hidden in dense bush, and on another day they might be playing in a clear forest glade. Keeping all these day-to-day variables in mind, how does the gorilla habituation experience compare to a standard gorilla viewing? Well, I can only answer from my own personal perspective. When I signed up for the gorilla habituation safari, I was concerned that the gorillas wouldn’t be very habituated at all and that I’d only have distant, fleeting glimpses of them. As it turned out, I needn’t have worried. I was taken to see a group that was about halfway through the habituation process. 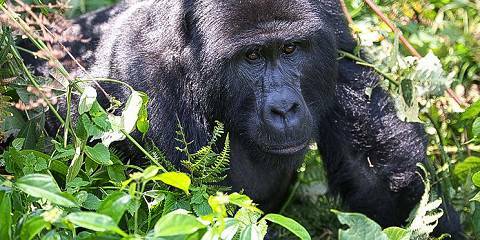 However, the group actually contained two gorillas – one female and the dominant silverback male – that had come from fully habituated groups. The fact that these two adult gorillas were completely unfazed by the presence of people had given the rest of the group a little more human confidence, and in many respects the viewings were as close and personal as they are with a fully habituated group. On top of that, I was permitted to spend about half-a-day in the company of the gorillas, and I was sharing them with only two other tourists. This was hands down the best gorilla viewing I have ever had (and I’ve been lucky enough to see wild mountain and lowland gorillas a number of times in different countries).